Known as ‘Meka’ and ‘Momma Smash’, Williams has won the most major singles, doubles, and mixed doubles titles combined for active players, male or female. Her assault on the four major tennis competitions, also known as the Grand Slam—the Australian Open, the French Open, Wimbledon and the US Open, played in that order—has elevated Williams to such lofty status that winning four of those tournaments in a row is now referred to as a “Serena Slam”. She has achieved this twice in her career: once between 2002 and 2003, and recently with her win at the 2014 US Open and through the first three Grand Slams of 2015. 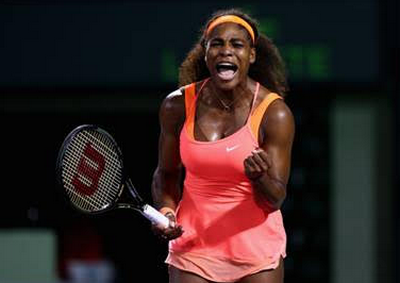 Williams holds a total of 34 Grand Slam titles, putting her seventh on the record books. PLDT HOME Fibr delivers powerful Internet of up to 1 Gbps, allowing high-speed browsing of multiple websites and the country’s first symmetrical speed service. Recently, it launched the new PLDT HOME Fibr Plan 2899 which offers 50 Mbps. Customers who apply before January 31, 2016 will have their speed boosted to 100 Mbps for the first six months of their subscription.